“It all starts with policy” is a phrase that’s often stated. 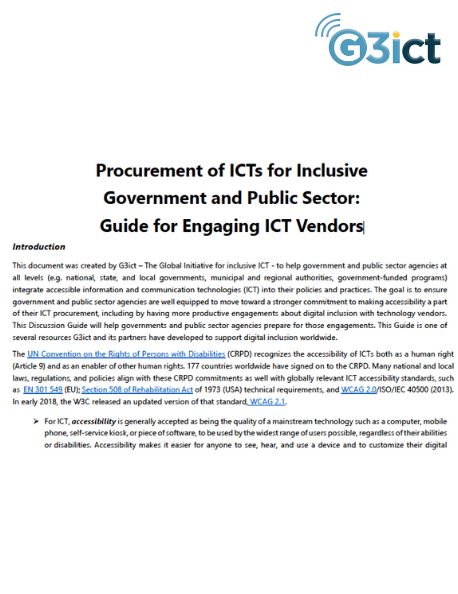 Does your current Information and Communication Technology (ICT) public procurement policy need attention in the area of accessibility for people with disabilities? 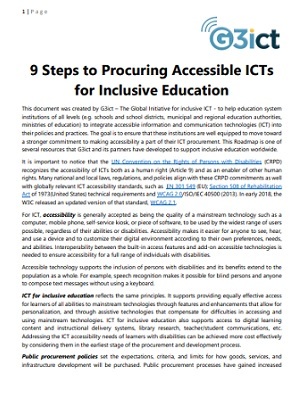 This section of the Portal provides information on the many benefits of addressing ICT accessibility, and aims to help you review and adjust current policies in order to start realizing those many benefits. 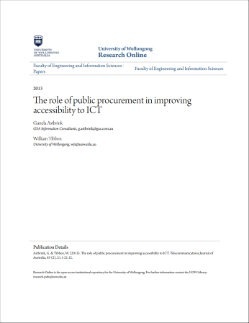 To begin this section, two introductory guides provide background to the whole public procurement policy area, describing the main issues, and the primary support resources that are available. 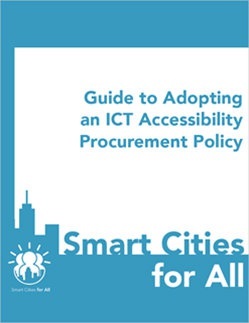 The first guide is written from the perspective of the “Smart Cities for All” project, and the second is written in support of implementation of the “UN Convention on the Rights of People with Disabilities” (CRPD). Both guides provide a useful introduction, even if your area of focus is beyond Smart Cities or the CRPD. 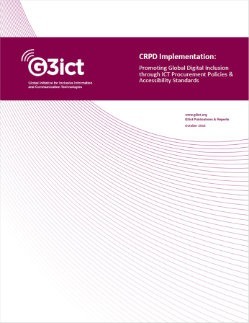 Next, the Model Policy can be considered the focal point of any effort to adopt ICT accessibility in any public procurement policy. 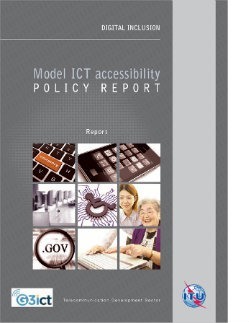 The source material in the Model Policy can be used to modify or even replace current policies. 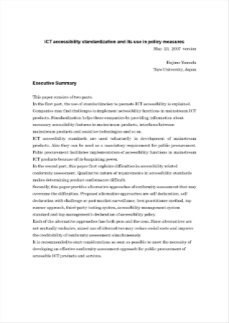 Finally in this section, for those who would like to know more about the history that preceded the creation of the model policy, we provide links to key articles that provided an impetus to the field by raising awareness of the potential benefits of meeting the needs of people with disabilities by improving public policy. Increasingly, schools, school systems, and education ministries worldwide are investing in technology for their classrooms and learners.. 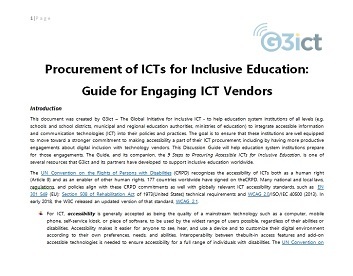 This discussion guide will help education ministries and school systems lead better discussions with technology vendors about accessibility and digital inclusion..